(Seychelles News Agency) - Building onto what has been hailed as a successful coral restoration programme on the Seychelles second most populated island of Praslin, knowledge is now being imparted to other people working in the field of marine biology and reef restoration, with the hope that the same can be replicated on a much larger scale in Seychelles as well as in other parts of the world. 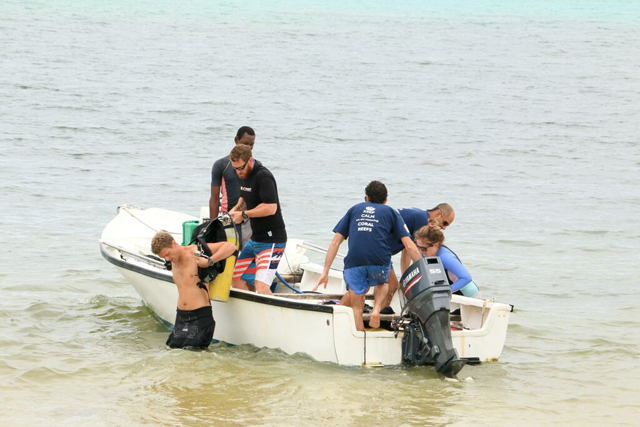 This is now that Nature Seychelles, a not-for-profit organisation, has just launched the island nation's first Coral Reef Rescuers Training Programme. It was in 2010 that Nature Seychelles embarked on the first large-scale coral restoration project in the Indian Ocean archipelago of 115 islands, which was not spared from the mass coral bleaching event brought about by the El Niño phenomenon of 1998. Choosing the coral fragments that had survived the destructive effects of the disruptive weather patterns brought about by the phenomenon, a group of marine ecologists embarked on creating an underwater nursery where nine different types of juvenile corals were planted and raised on ropes for almost a year, known as ‘the coral gardening’ method. After reaching manageable sizes, these were transplanted to an area off the coast of Amitié, a village on the western coast of Praslin. Five years later in 2015, the ‘Reef Rescuers Project’ has seen over 24,000 corals transplanted to an area the size of a football pitch, equivalent to around five thousand square metres. 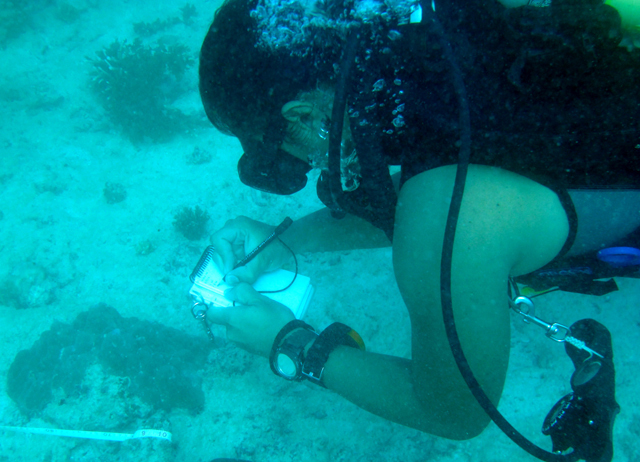 “It’s not yet a healthy reef, but I think we are close to it,” Phanor Montoya-Maya, a Columbian marine biologist specializing in coral reef ecology and reef connectivity, told SNA in an interview. “A lot of fish are coming back, we are now spotting white-tipped reef sharks, a lot of octopus as well, and turtles are coming back, so I think it is a very promising site,” added Montoya-Maya, who is also the Technical & Scientific Officer in the Reef Rescuers program and one of the instructors involved with the newly launched Reef Restoration Training Programme. The rather packed six-week certified training is aimed at passing on both practical and academic knowledge based on the reef gardening concept, mainly on how to build underwater nurseries and transplant corals to a degraded site. Nature Seychelles says the course is ideal for those working in marine conservation with basic knowledge in reef ecology and the scientific method. 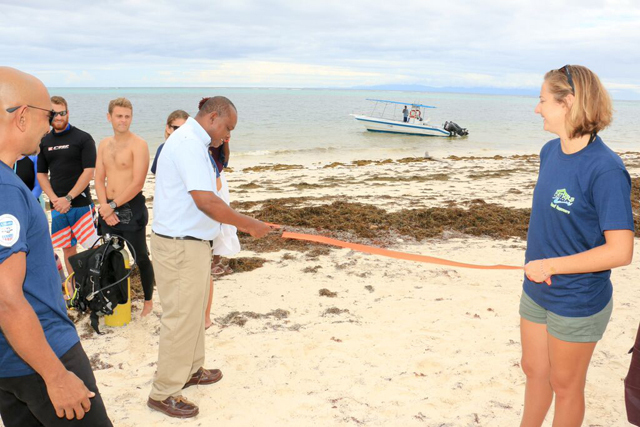 And for trainees to get hands-on practical experience, the training is taking place at Amitié where the participants can easily dive down and see a tangible example of a successful coral restoration site. “This technique is science-based. It is based on facts, or things we have done ourselves and seen its result on our transplantation site,” said Montoya-Maya, adding that there are other successful stories on coral reef restoration but not on the scale that has been done in Seychelles. The initial six-week programme has attracted its first cohort of six trainees who are all mature students from the United States, Australia, Philippines, France and Mauritius while the facilitators have worked on the restoration site itself and are also of different nationalities. 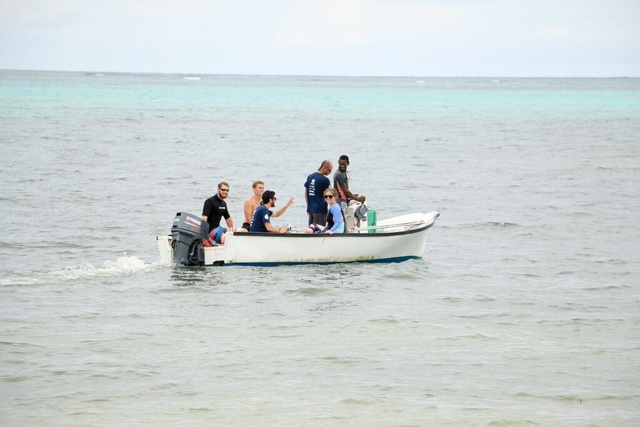 After successful completion, it is hoped that the trainees will implement a similar coral restoration project on a large scale basis in their own country. “To win this war against coral degradation we need as many people as we can but we need people with knowledge and expertise and that is what we are trying to do,” said Montoya-Maya. Louise Malaise, a former student of Australia’s James Cook University and a resident of neighbouring Indian Ocean Island of Mauritius, is one of the successful applicants of the training programme. 31-year-old marine biologist, Ron Kirby Manit from the Phillipines, has worked in Singapore where he has been actively involved in coral reef restoration projects. “It’s good to see how other people from different areas tend to do it and we can have collaboration on how we can effectively save the marine environment,” said Manit, while commending the efforts toward the conservation of marine and terrestrial environment in Seychelles. According to Nature Seychelles the course is limited to eight participants at a time, who each have to pay $2,950 for the duration of their training. Dr. Sarah Frias-Torres who is the Coordinator of the Reef Rescuers Program as well as one of the instructors, told SNA that new financial support was received after they submitted a proposal to USAID to extend the funding for 2014-2015 based on the results obtained in the initial project. "We would like to offer a new training opportunity... I cannot tell you exactly how often and when it's going to happen. There is demand for this kind of training, but we must find common ground among all applicants, so the training is offered at the most convenient time," said Frias-Torres. With its population of around 90,000 people who depend heavily on the coral reefs for fish which is consumed almost daily, the island nation also has much to gain from the programme, as the renowned tourist destination thanks to its powder white beaches and turquoise waters remains vulnerable to the effects of climate change being a Small Island Developing State (SIDS). In its most recent newsletter, Global Vision International (GVI), an organisation which runs conservation and community development programmes in numerous locations around the world, reported that while many of the reefs are portraying recovery and resilience in Seychelles, they still remain vulnerable to bleaching events. According to GVI, monitoring through its marine conservation expedition at Cap Ternay located in the Western most part of the Seychelles main island of Mahé have shown that coral bleaching was observed although minimal during the month of May as sea surface temperatures peaked around the inner granitic islands. “Bleaching was more severe in shallow water less than 5m in depth, however, bleached colonies were observed in depths of up to 15m," read the GVI newsletter. 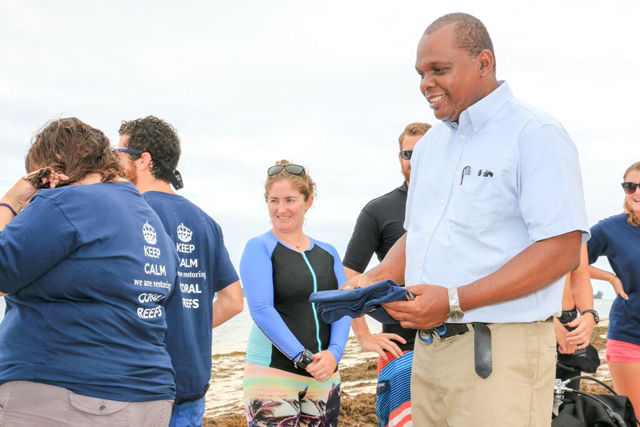 The expertise and knowledge Seychelles has gained through the coral restoration programme which is now being shared with the world can go a long way in helping the country to be more prepared to restore affected coral growths in the future. Research carried out on bleached coral reefs in the Seychelles has recently allowed scientists to predict bleaching loss in the Atlantic and Pacific Oceans. American climate scientists warned on Monday that steadily rising ocean temperatures in the Eastern Pacific and the Atlantic which could persist until 2016, could lead to the loss of some 12,000 to 15,000 square kilometres of delicate coral reefs could soon be lost forever.